Cities in Motion 2 offers similar gameplay to the original but with plenty of improvements that enhance gameplay. The game released in early 2013 for both Windows and Mac. 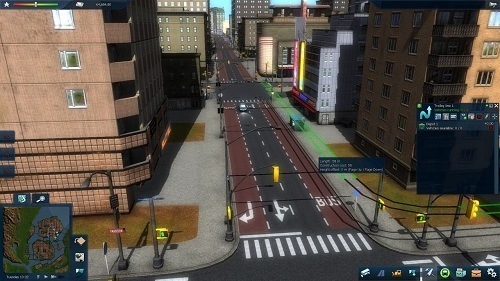 New features in the sequel include new multiplayer game modes, a larger variety of transport options, day and night cycles, timetabling and cities that dynamically react to the transport you put in place (businesses and residential areas will build up around transport routes) which gives you some control over how the city develops in general. 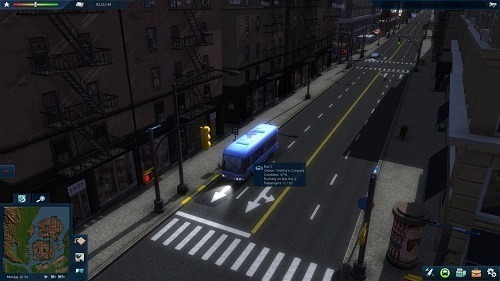 Cities in Motion 2 focuses on the transportation side of a city with elements of simulation and management in the gameplay. In the game it is up to the player to produce and manage a vast transport network that meets the city’s needs. Best of all there is no shortage of tools at your disposal so you can involve yourself in the tiny details if you want (or leave them to the computer to micro mange). There is plenty of choice particularly in regards to transport types with buses, trains, boats and more all available to the player. With Cities in Motion 2 you can gain a real insight into the complexities involved in managing a modern transport system in a large city and might just make you appreciate what the city you live in offers in terms of public transport. In the game players can either tackle the game through the campaign mode or play a sandbox mode which offers a huge amount of player freedom to create a dream city transport system. Multiplayer also offers some options with players able to either play co-operatively or competitively with other players. If you enjoy developing infrastructure and managing the growth of a city you’ll really enjoy Cities in Motion 2 but don’t expect to be able to walk in and pick up the game quickly. Puts you in control of the transportation in a big city. Plan routes and timetables while building the infrastructure. Experience a dynamic city that grows based on transport availability. Plenty of different transport options from buses to trains and even boats. Grab a friend and play cooperatively or competitively.